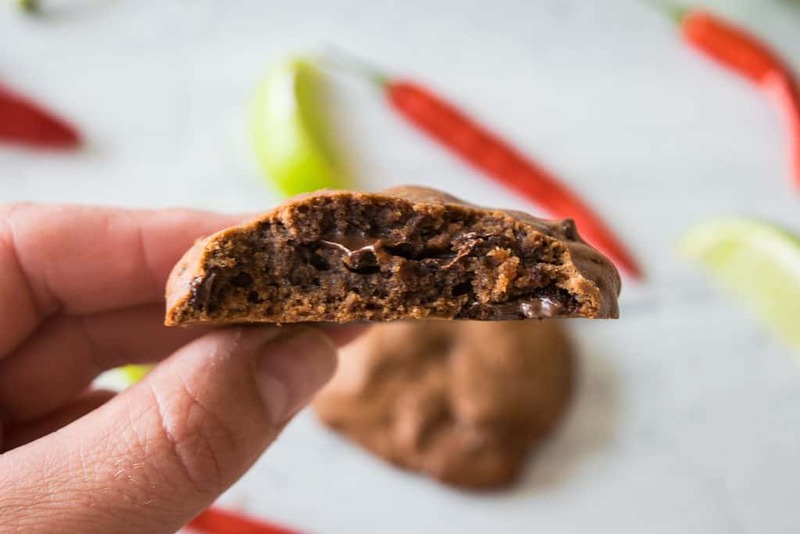 Chilli chocolate is amazing! I mean, chocolate on it’s own is amazing. But, there was a real genius at work when they came up with chilli spiced chocolate. If you have never tried it, I am urging you to try it now! It’s isn’t spicy in the conventional “need a glass of water immediately” way. But, the warmth of the chilli leaves the mouth tingling at the end of each bite. This cookie uses plain chocolate chunks. 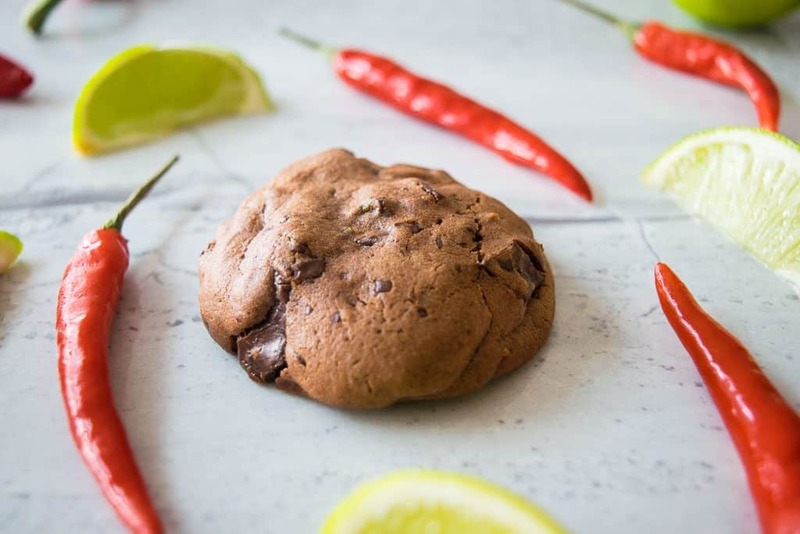 With the chilli being placed right in there with the rest of the cookie dough. So, you haven’t got to go out and try to find any special ingredients to make these. Fresh lime juice gives them a little zing and just enhances the dance your tastebuds will be doing when eating these. Treat Yourself To Some Cookies Mumma! I will admit, I made these all for myself. That’s not something I usually do in the kitchen, when I have two hungry boys looking at me. However, every mum deserves their own special treat every now and then, right!? 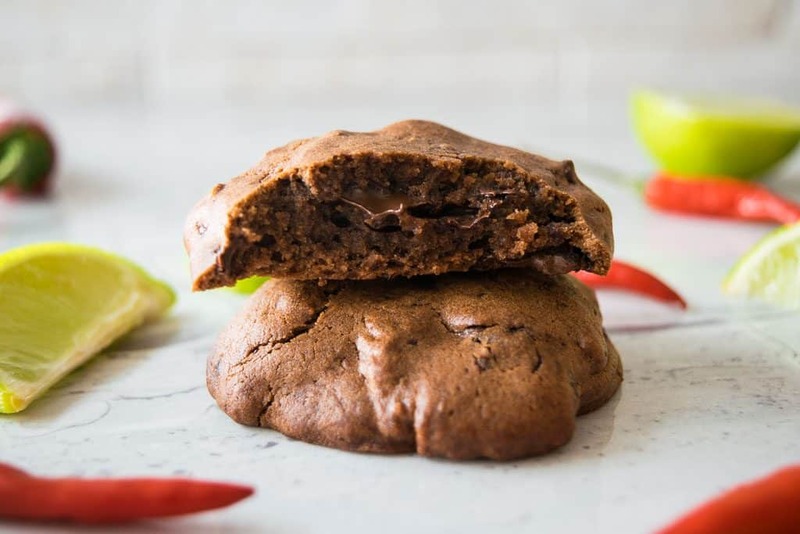 These cookies are best served still slightly warm when you can get the full gooey, chocolate chunk experience. Try making the dough the day before, that is, if you can wait. Chilling the dough in the fridge for longer will help them to hold and more chunky shape in the oven and not spread too much. 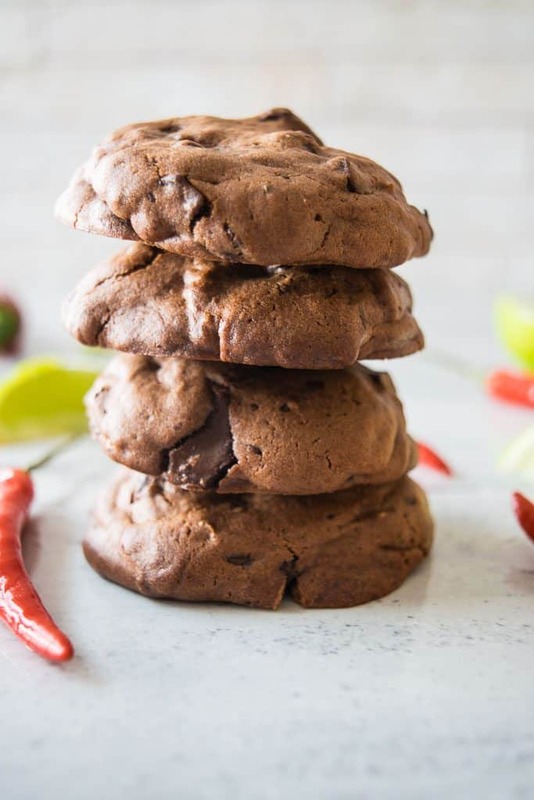 Chilli Lime Chocolate cookies are definitely at the top of my favourite cookie list right now and you need to give them a go! If you love combining delicious flavours, try these Orange and Ginger Biscuits, they’re great too! Ooh, what an intriguing recipe! Love the flavour combination! Found you via Foodies 100. It’s nice to ‘meet’ you and discover your blog. 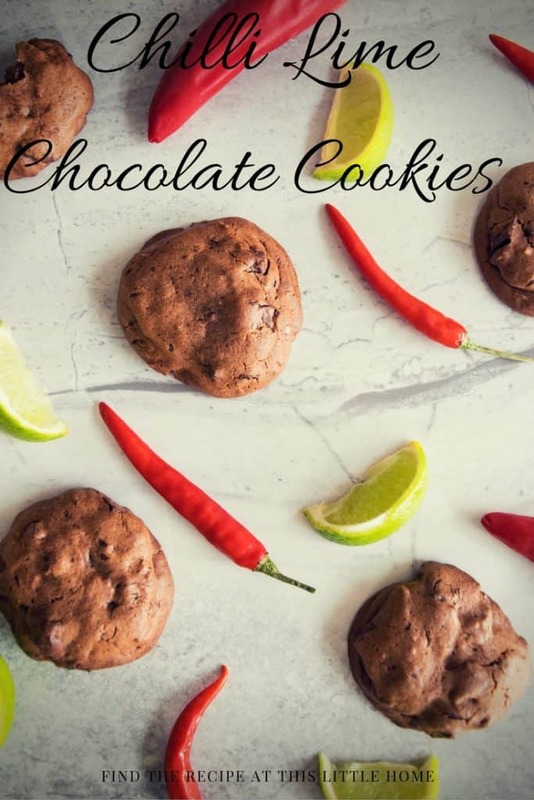 I have never used lime with chocolate, but sounds like an intriguing combination worth a try!